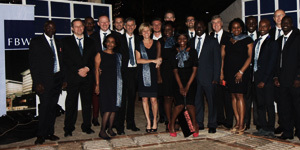 After 20 years of operation in Uganda, Rwanda, Tanzania and Kenya, FBW Group celebrates a major milestone this year. The company has grown to approximately 60 people located in 6 countries and now has an established presence in East Africa. The FBW brand, synonymous with developing high quality and complex international projects, has developed from our wide ranging experience in various sectors throughout the region.